Kim Lord is an avant-garde figure, feminist icon, and agent provocateur in the L.A. art scene. Her groundbreaking new exhibition Still Lives is comprised of self-portraits depicting herself as famous, murdered women—the Black Dahlia, Chandra Levy, Nicole Brown Simpson, among many others—and the works are as compelling as they are disturbing, implicating a culture that is too accustomed to violence against women. As the city’s richest art patrons pour into the Rocque Museum’s opening night, all the staff, including editor Maggie Richter, hope the event will be enough to save the historic institution’s flailing finances. Except Kim Lord never shows up to her own gala. Fear mounts as the hours and days drag on and Lord remains missing. Suspicion falls on the up-and-coming gallerist Greg Shaw Ferguson, who happens to be Maggie’s ex. A rogue’s gallery of eccentric art world figures could also have motive for the act, and as Maggie gets drawn into her own investigation of Lord’s disappearance, she’ll come to suspect all of those closest to her. Set against a culture that often fetishizes violence, Still Lives is a page-turning exodus into the art world’s hall of mirrors, and one woman’s journey into the belly of an industry flooded with money and secrets. I really thought I was going to love this book. With so much of the plot revolving around an art installation that was meant to be critical of society’s voyeuristic fascination with murdered women, I thought Hummel might have some point to articulate about it with a bit more substance than, essentially… “thing bad.” If it was there, perhaps it went over my head, but the book as a whole felt so meandering and disjointed that I don’t feel I can really be blamed. The artist in question, Kim Lord, is missing for the majority of the novel, and her disappearance provides the thrust of the story. This almost feels like a missed opportunity, as Kim Lord seems like she would have been a much more interesting character to explore than the protagonist, Maggie. Maggie works in typesetting for the art gallery hosting Still Lives, Kim Lord’s most recent exhibit. Kim Lord’s current boyfriend, Greg, is Maggie’s ex, which is what draws Maggie into the action after Kim disappears. Maggie seems to still be pretty hung up on Greg, but we never really know enough about him as a person or their relationship to know or care why. Honestly, a lot of Maggie’s back story seems to be really thinly sketched out. The novel is fairly short at under 300 pages, and I’d say perhaps it could have used some more space to fill out Maggie as a character, except that the 275 pages we already have seem to drag by rather slowly. I won’t go into details, but Maggie is struggling with a death in her past for which she feels responsible. Hummel tries to paint a picture of what led up to this to help us understand Maggie’s guilt, but even after finishing the novel, I feel pretty fuzzy on this. I had a lot of difficulty keeping the characters straight, which isn’t generally a problem for me. There’s nothing worse than hitting a big reveal in a mystery novel only to say, “Wait, who was that again?” Character motivations felt like a bit of a stretch in more than one instance, in part because most of the characters were so thinly developed that they never felt like people. 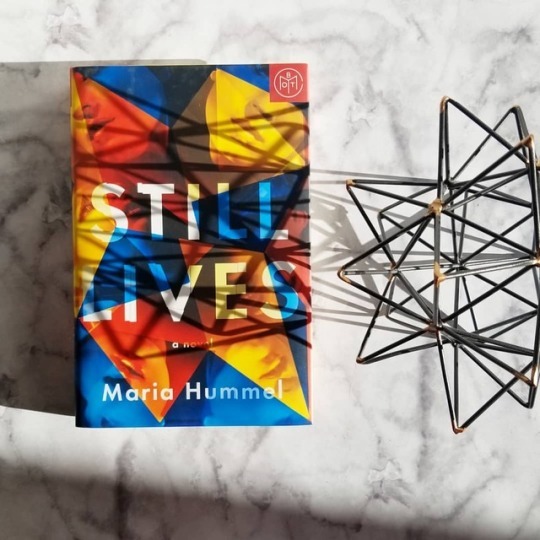 Still Lives had a lot of promise, but I felt really let down by the author’s failure to fully flesh out any of the characters or to explore any of the themes she raised in any meaningful way. I wanted to love this book, but I think the best thing about it was the pretty cover. Thank you for reading! Have you read Still Lives? Please feel free to share your thoughts in the comments!